If I had to pick just one fashion trend from this winter that appeared everywhere, it would most definitely be the faux leopard coat. Just about every brand, from J. Crew to Target, offered at least one version of the leopard coat for winter and just about everyone seemed to have bought one. I know I have said this before, but I was a big fan of the TV show The Nanny starring Fran Drescher in the 90s. She had faux fur everything (well, that and a lot of sequins!) and at the time those fabrics came across as kind of chic, but also a little, dare I say, trashy. Well, now faux leopard (and, of course, sequins) are back in full force but they have been upgraded and "classed up" a little, yet are still fun and playful. It's really the best of both worlds! 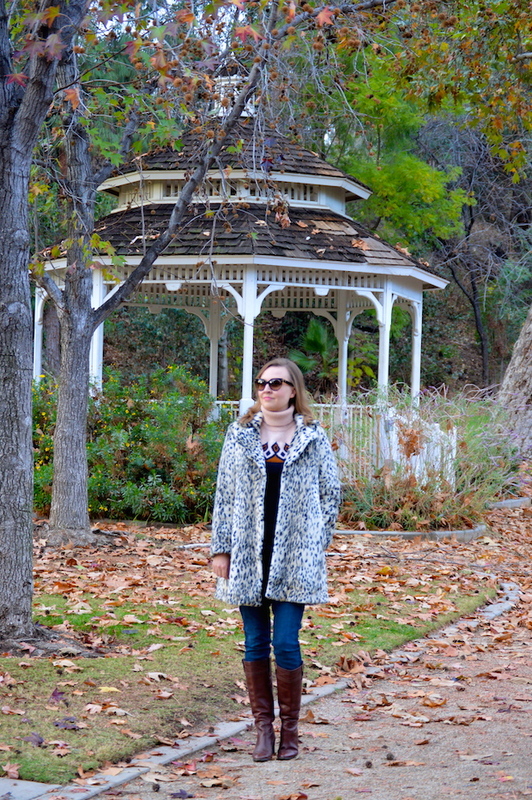 Understandably, I was sort of on the fence about whether or not I should jump on the faux leopard coat bandwagon. Could I pull it off or not? Well, about two months ago, I finally caved because I really liked this particular coat from H&M. The reason I didn't debut the jacket earlier is due to the fact that the temperature has been in the 70s and 80s this entire winter here in Southern California. We finally had one cold day last week and I said to myself, "This is going to be the day I wear my jacket because I might not get another opportunity until next year!" The nice thing is that now a lot of these leopard coats are deeply discounted, so you can buy one and save it for next year. Below are a few of my favorites that are still available and many are on sale! 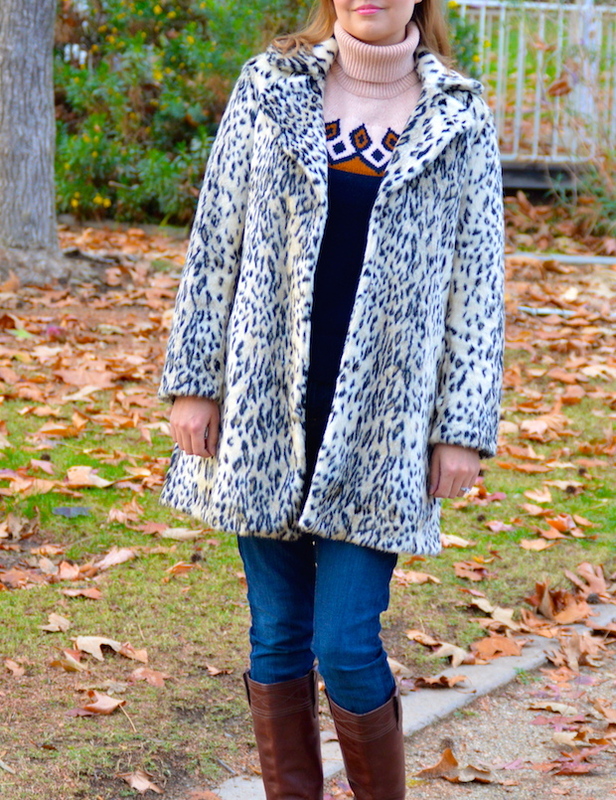 On a final note, my advice about styling a leopard coat is to keep it simple and classy. If you're on the fence and wondering, like I did, if you can pull it off, the answer is yes, but maybe don't pair it with a super short mini skirt and fishnet stockings like Fran Drescher did! 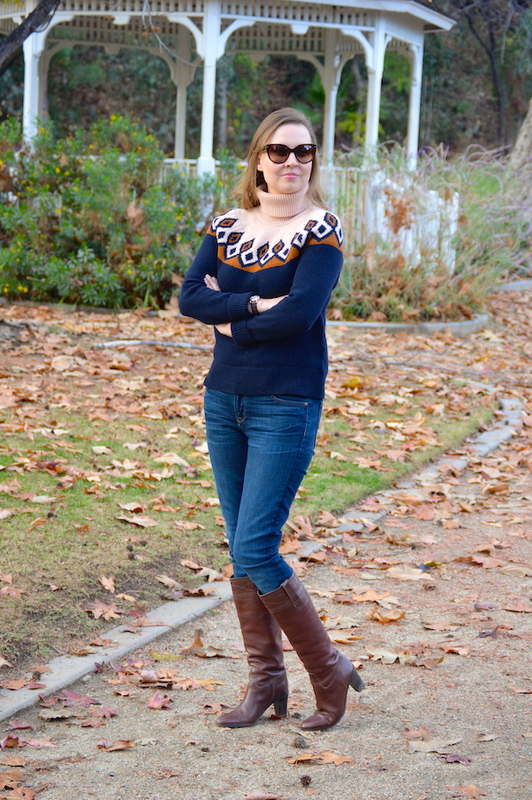 As you can see, for this look I went classic underneath my coat with a Fair Isle sweater, jeans, and boots. 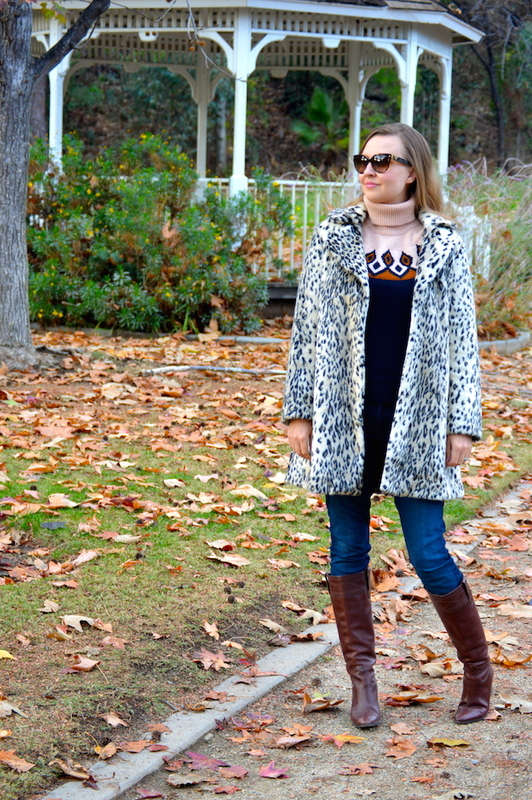 The leopard coat just adds a bit of fun to the look without being over the top. In the future, I might try to add a little color with the coat. Maybe on the next cool day I'll try that! Okay that takes me back...I used to watch that show! She is so funny. I do love that leopard print coat and you look chic and gorgeous!